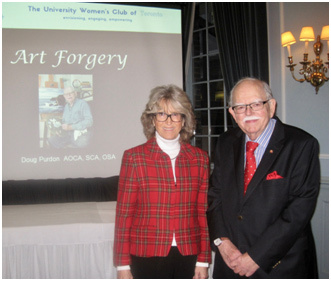 The University Women’s Club has a monthly Speakers Series, inviting speakers covering a range of backgrounds and topics. The events are generally held in the evening, over a delicious dinner at The Faculty Club. All members are invited and guests are welcome! The cost is $40 for members and $45 for guests, which includes a three-course dinner. Kindly RSVP by calling 416-979-2000 or email info@uwctoronto.ca to secure your spot. Space does not allow a comprehensive description of Dr. Percy’s illustrious career, and the recognition he has received for work in his field. His research deals with the nature and evolution of stars, as deduced from variable stars that change in brightness; but he’s also deeply engaged in astronomy outreach. Giving many courses and public lectures, he educates and explains the interdisciplinary nature of astronomy. He has been the inaugural recipient of two awards: University of Toronto President’s Teaching Award in 2007, and Canadian Astronomical Society’s Qilak Award in 2012, for excellence in communicating astronomy in Canada. 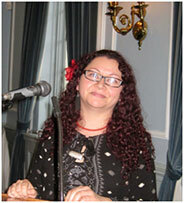 Professor Mount is a nationally recognized student and teacher of Canadian literature. 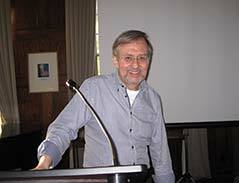 In 2005, his doctoral dissertation became a prize-winning book: When Canadian Literature Moved to New York (UTP, 2005). His most recent book Arrival: The Story of CanLit (Anansi, 2017), chronicles the boom that took place in Canadian publishing in the latter half of the 20th-century, setting it into a national and international context. This book was named best book of the year by the Globe & Mail and National Post. He has won numerous awards, most recently the 3M National Teaching Fellowship, the country’s highest teaching award (2011). Family and genealogical research is becoming an increasingly popular hobby, mainly because of the fascinating facts and stories that can emerge with a bit of investigative effort. Elise Cole, Special Collections Librarian at Oakville Public Library, provides expertise and assistance in this area. Elise holds a Masters of Library and Information Studies from McGill. 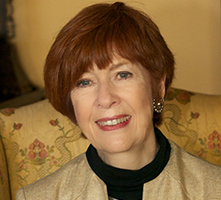 Over the years she’s been actively involved in numerous genealogical projects and conferences, and since 2014 has been overseeing the development of new collections, and ensuring better access to genealogical resources. For those who haven’t been able to get to this impressive Museum, joining Mark O’Neill on this tour is the next best thing. Mark has been President and CEO of this Museum and the Canadian War Museum since 2011. Under his leadership, the Museums have placed new emphasis on telling the stories that have shaped Canada’s history and identity, and have expanded their outreach activities throughout the country. In 2017, the Museum of History unveiled the Canadian History Hall, the ground-breaking signature exhibition that presents Canada’s national story from the dawn of human habitation to the present day. On Monday, April 8th, Chris Brown presented an inspirational talk to our members about a music program that he founded called Pros and Cons. Chris works with inmates (men and women) in prison to provide job skills and create opportunities for empathy and achievement for prisoners. ‘By singing, recording, songwriting, playing instruments and being part of a musical project the prisoners “were completely unencumbered by this dominant identity of criminal. Now, they were seeing what else is possible,” says Brown.’ One of the highlights of the evening was discovering that our Susan Freeman had taught Chris in high school. Saloma Smith gave us a most interesting and informative talk on teaching in Pakistan. Saloma was a Toronto teacher who took early retirement in order to go to Pakistan to work in rural schools where she taught as a volunteer for over thirty years. After her presentation, she sold several copies of her autobiography, "Out of the Schwemnly". A schwemnly is a cedar grove and the house in which she grew up in Ontario Mennonite country was located in a cedar grove. The proceeds from the sale of her book and the honorarium Saloma received will go to help pay for an operation for Chumna. Chumna is a sixteen year old Pakistani girl. She was born with a club foot and could not work in the fields with the other women so she was sent to school. She now teaches the women in the village. Chumna has had two operations on her foot and needs a third one. Saloma thanks the UWC members for their hospitality when she spoke to us. The luncheon, held in the beautiful Wedgwood Ballroom, was a resounding success. Paula Barber and her committee organized a lovely luncheon for all of the Toronto area CFUW clubs to celebrate this important occasion. Deborah Maw was MC of the event and had great assistance from the representatives of the other clubs. The speaker, Dr. Aileen Burford Mason, spoke very convincingly about the importance of good nutrition for healthy aging and the healthy brain. We will all be watching our intake of good foods, equal protein for each meal and supplements such as Omega 3, Vitamins D3, B12, C and minerals such as Magnesium. It was interesting and very informative. A picture is worth a thousand words and Jo-Lynne has a great selection so that you can share the warm atmosphere and great camaraderie. Patricia O’Connell, Executive Director of Sistering, and her colleague Madelyn Gold made a very powerful presentation to the Club about the value of Sistering, a safe place where women are welcome, day or night. Women who experience homelessness or precarious housing, trauma, or social isolation are provided with meals, counselling, employment support, health care and shelter from violence and abuse. Madelyn spoke movingly about her personal experience with addiction. She credits Sistering for giving her the opportunity to become a Peer Harm Reduction Worker and for saving her from a life on the streets. There was an excellent turnout of members and guests from the UWC and the Faculty Club on to hear Dr. Ann Cavoukian speak about Protect Your Privacy Before It’s Taken Away. She outlined a privacy framework called Privacy by Design that will enable our privacy and freedom to live well into the future. It’s not often one couple’s vacation slideshow is of interest to anyone other than the couple in question, but Jim and Sue Waddingon haven’t had your average vacations. For 40 years, primarily by canoe, they have been locating, documenting and photographing the actual landscapes that inspired and influenced the brushes of the famous seven artists. It was very interesting to see the actual paintings and the Waddingtons’ photographs side by side. Most sites had changed very little over time. 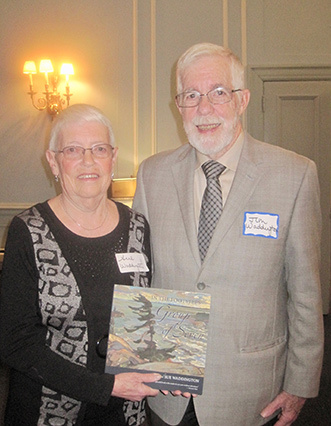 One of the slides that Jim presented showed six of the Group of Seven and another man who was none other than Barker Fairley of whom our Fairley Room is named. “In the Footsteps of the Group of Seven” was about as close a two-dimensional experience can get to the live version of the same thing. Philip Holst, a Wetland Rehabilitation Initiator and Project Manager, gave a very informative talk on how important wetlands are to the health of our water. He described wetlands as being the kidneys of our water system; they help to purify waste and standing water. As a result, wetlands are needed not just in rural areas but in urban life as well. As Philip says, “We do not own the land but we are stewards of it.” When you get a chance, check out the wetlands in Toronto such as at the Leslie Spit. All who attended Dr. Meb Rashid’s presentation were enriched by his description of the care-giving work at Crossroads Clinic, as well as his observations on the phenomenon of refugees to Canada in the past decade. With a mix of data and anecdote, he provided a sophisticated view of the profiles of recent refugees and the realities of their experiences, prompting a better understanding of how this contributes to their determination to settle well into Canadian life, no matter what it took to flee their homes. The main dining was full to capacity as Ontario’s Lieutenant Governor articulately outlined her key priorities, interspersing them with touching real life stories. With the same ease, she answered our numerous questions, impressing us with her breadth of knowledge on diverse topics. Harolyn warmly thanked her on our behalf. There was a good turn out on a beautiful June evening to hear Adina Lebo’s statistics-packed presentation regarding the phenomena we all should be aware of as “Boomers”/Zoomers Informative. Upbeat when appropriate, provocative when necessary – all of this was delivered to an appreciative audience in the space of an hour following dinner. Dr. Elizabeth Smyth is a Professor of Curriculum Teaching and Learning and Vice-Dean at the School of Graduate Studies, University of Toronto. Dr. Smyth, will speak about her most recent book Changing Habits: Women’s Religious Orders in Canada. Her talk was warmly received and sparked numerous questions and a lively discussion afterwards. Dr. Charlie Keil, professor of Cinema Studies and Principal of Innis College is a lecturer with a specialty in American film, and interests in directors as authors, documentaries and the stars. Dr. Keil will speak about film and all that it entails, preparing us for the hectic awards season. It was a fascinating talk, giving insights into the origins of contemporary cinema, what makes a great film, a great director and an award winner. Paola Gomez kindly and quickly stepped in as guest speaker at the International Women’s Day Luncheon, when Jodie-Lynn Waddilove had to attend to urgent family matters. A human rights lawyer from Colombia, and refugee herself, Paola’s compelling personal story and passion for women’s rights, moved and inspired the audience of approximately 120 members of the University Women’s Clubs of the Greater Toronto area. 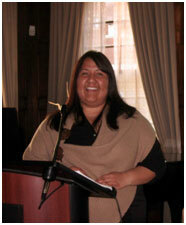 Michelle Bomberry, a member of the Six Nations of the Grand River Territory and Director of Post-Secondary Education at Indspire, gave a lively informative presentation about the valuable work being done by Indspire in support of indigenous people. Our contribution of $4,500 is being matched by the Government of Canada. Dr. Danesi is a Professor of Semiotics and Anthropology at the University of Toronto. In the area of puzzles, he has written various academic and research-based books. He also writes puzzles for the Toronto Star, Reader’s Digest, and a puzzle blog for Psychology Today. He has also written several bestselling puzzle books for Harlequin, of which The Total Brain Workout is deemed one of the best puzzle books on the market. Dr. Danesi challenged and entertained us with a fascinating talk about puzzles and the aging brain. Combined with fine dining, it was a well attended “food for thought” evening. Donna Jean MacKinnon’s new book Newsgirls: Gutsy Pioneers in Canada’s Newsrooms brought our focus back to a time when women journalists were carving out a place in a male dominated profession. With excellent visuals illustrating the ten ground breaking female reporters as well as the fashion of the time, Donna Jean MacKinnon, a former reporter for the Toronto Star, not only helped us vicariously relive 1930 – 1960 but also made many of us reflect upon our own careers and the battles that we fought as women entering a profession or that others fought before us to make our transition possible. 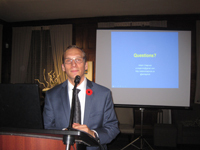 Dr. Adam Chapnick, professor, author and foreign policy expert, captivated the audience with his lively, informative talk about multiculturalism in Canada, comparing it to other countries. His presentation, and his responses to the numerous questions afterwards, revealed an in depth knowledge of multiculturalism and its impact on the world. A thought provoking presentation about a timely topic. Dr. Ellen Bialystok is a distinguished Research Professor of Psychology at York University, Member of the Order of Canada. Much of her research has focused on the effect of bilingualism on children’s language and cognitive development. This research has also recently encompassed investigations into language and cognitive decline with aging. Ellen’s well-researched facts and insightful comments were well received by all. See photos below. 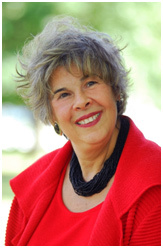 Grace Morrison, an educator, author, actress and musician, specializes in recounting the stories of early, well-known French Canadians of the 17th and 18th centuries through story telling, drama and music. It was an entertaining, engaging, educational event that was well attended and thoroughly enjoyed by all. See photos below.